Join us on Sunday, September 30, 2018 for the 13th 5K Bay Run/Walk held at the Department of Conservation & Recreation/Carson Beach. This very scenic, flat 5k begins and ends at 165 Day Boulevard, South Boston and heads out toward Castle Island, before looping back to start/finish. We will register new participants at the site on Sunday, September 30th. 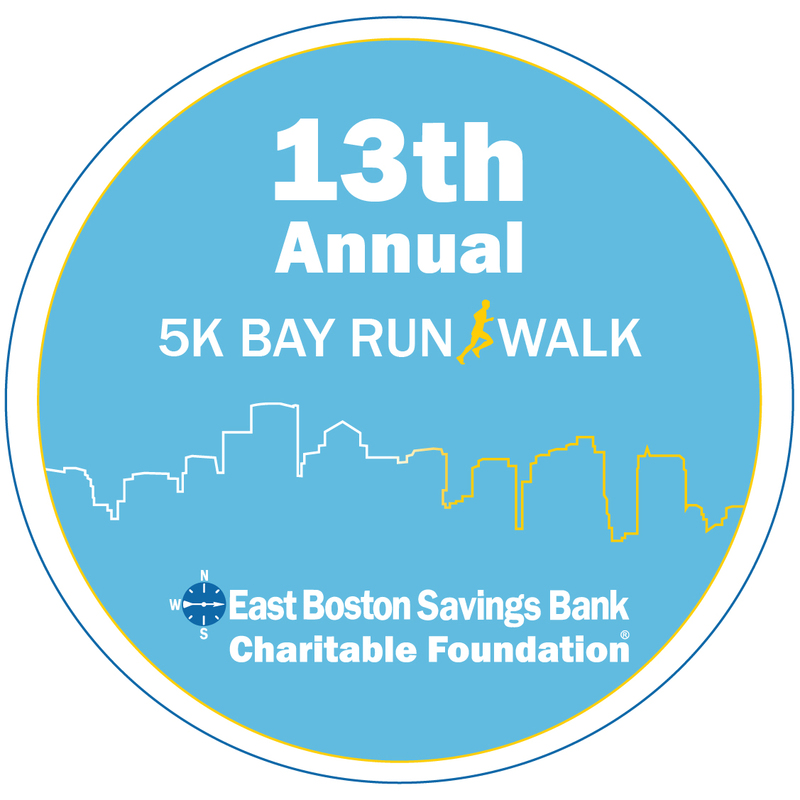 The 13th Annual EBSB 5k Bay Run/Walk supportsindividuals, families and non-profit organizations that benefit from the efforts of the East Boston Savings Bank Charitable Foundation. The Foundation was established in 2002 to provide funding to support charitable causes and community development activities within the communities served by EBSB. Directions and Parking: Take the Southeast Expressway (Route 93) North or South and get off at exit 15 (Columbia Road) Stay in the left-hand lane and take a left off of the ramp. Go ¾ of the way around the Rotary and bear right onto Day Blvd. Proceed past the Mass State Police Barracks and take your first right into the Bayside Expo North Entrance. Park in the Carson Beach lots next to the DCR's on Day Blvd. Additional street parking available. As a convenient alternative, take the T to the UMass/JFK station directly across the street from the Bayside Expo Center. Age Groups: Female and Male 18 & under, 19-29, 30-39, 40-49, 50-59, Over 60. Awards: $250 to top overall male & female runners and $50 top male & female runners per age group (one prize per runner. Awards Ceremony: 10:30 a.m. at Registration Area. T-Shirts: Runners and walkers who register by September 14th will receive a t-shirt on race day! Additional Information: Free goodie bags and refreshments will be available at the Registration Area on race day.